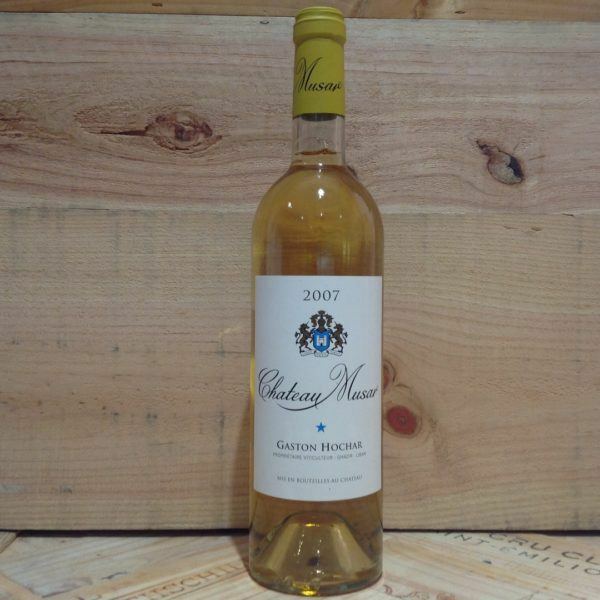 Chateau Musar was established by Gaston Hochar in 1930 and is without doubt Lebanon’s top wine estate. Few properties have consistently produced such high quality wines in the face of adversity and war, and it is a testament to the sheer will and determination of the Hochars that wine has been produced every single year, bar 1976 and 1984. Chateau Musar is located in Ghazir, 15 miles north of Beirut overlooking the Mediterranean, whereas the vineyards themselves are located a long and sometimes dangerous truck journey over the mountains to the east of Beirut in the Beqaa (aka Bekaa) Valley. The vineyards benefit from an altitude of around 1000 metres and the subsequent cool nights serve to lengthen the crucial ripening process. The red is a blend of Cabernet Sauvignon, Carignan and Cinsault. Serge Hochar, who was been involved with the property from 1959, states that the Cabernet Sauvignon provides “the bones and the skeleton to the wine, the Carignan the flesh and muscle and the Cinsault the silky smooth finesse”. The Musar 2001 vintage was marked by only 23mm of rainfall between March and August. This impacted most upon the Cinsault vines, thus this vintage is dominated by the rich bold Cabernet Sauvignon and Carignan that thrived this year. The palate has intense flavours of red cherries, dark chocolate, olives, figs and velvet smooth tannins on the very long finish.